Our puppy's name is Tucker. We got him from a rescue at 10 weeks old. We know nothing about his background other then they gave them to the rescue when they were born. I do not know how he got along with his siblings because some of his brothers and sisters were gone already. 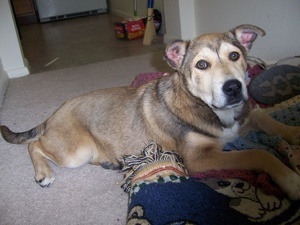 Tucker is a very sweet dog, loves to play, loves his crate and willingly just walks in to lay down. He is almost potty trained and knows to sit and stay. He is currently 4 months old and will be neutered next week. 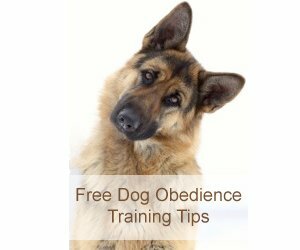 He has a lot of fears, afraid of other dog barks, anything with a motor and very aggressive when he is tired, to much energy or hungry. He also barks a lot at new people and will even hide. I am not sure if something happened before we got him. Would not trade him for the world.